The sole does not just keep you warm. Its anatomic 3D shape with stabilization line also improves your balance and power distribution. Moreover, the high-quality insole material ensures the perfect temperature for your feet. In cold weather, our bodies withdraw the heat from the extremities first to protect the vital organs located in the center of the body. This already reduces performance by 12 % at a muscle temperature of about 32° C/93.2° F. At even lower temperatures, performance may be reduced by up to 50 %, simultaneously increasing the risk of injury due to less tension in the fibers of a muscle. 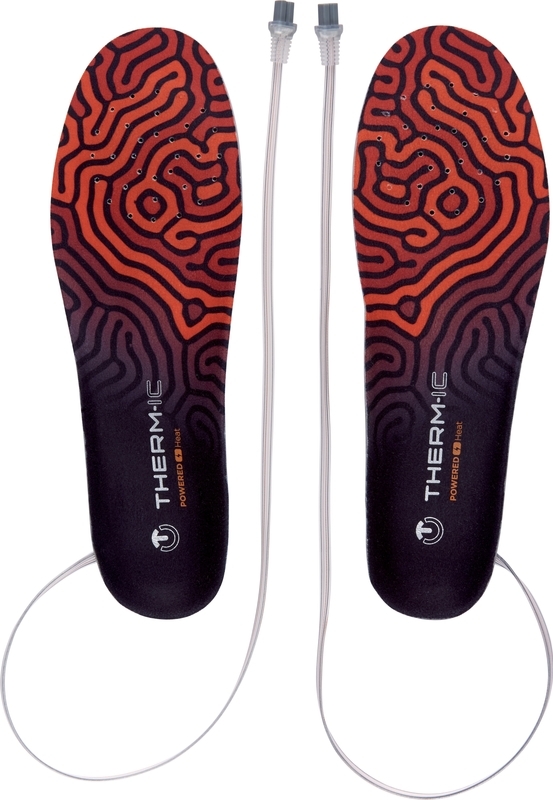 Our Therm-ic Foot Warming systems with impulse control continuously release heat from the tip of the toes to across the entire sole of the foot. This type of heat supply increases the mobility and performance of the foot muscles and thus provides more safety.